Japan’s All Nippon Airways (ANA) has taken delivery of its first A380 at a special ceremony in Toulouse, becoming the 15th operator of the world’s largest passenger aircraft. The delivery ceremony was attended by ANA HOLDINGS President and CEO Shinya Katanozaka and hosted by Airbus CEO Tom Enders. ANA will operate the aircraft on the popular leisure Narita-Honolulu route from May 24th. Video of the First ANA A380 "Flying Honu"
said Shinya Katanozaka, President and CEO of ANA HOLDINGS INC. “We believe the A380 will become a game changer for ANA and will enable us to increase our market share by doubling the number of seats connecting Honolulu and Tokyo by 2020,” he added. 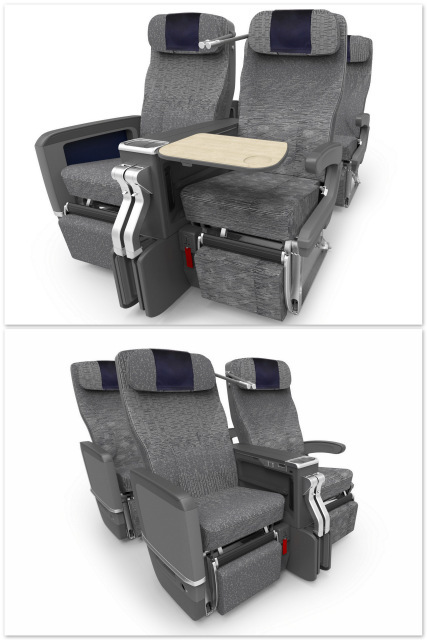 “The FLYING HONU is designed to offer unprecedented comfort and convenience and a world of new possibilities to ANA passengers. ANA has selected special Hawaiian themed liveries for its three A380s, symbolizing the sky, ocean and sunset. ANA's first Airbus A380 sports bold Hawaiian Sky Blue Flying Honu-inspired livery. The ANA A380 livery is one of the most elaborate ever painted by Airbus. It took 21 days for the Airbus team to paint a surface of 3,600m2 using 16 different shades of color. During the press conference, ANA confirmed they will release more award redemption seats on their Hawaii A380 flights. If you want to use United miles to redeem for free flights on this route expect to pay between 27,500 miles for a one-way economy award up to 55,000 miles for a Business Class award. Virgin Atlantic frequent flyer program has a sweet spot for flights on ANA and looks like this route should only cost 90,000 miles for a first class round trip ticket. One way First Class on Avianca Life Miles cost 66,000 lifemiles. The A380 lower deck is wider than a 777 as it comfortably fits in 10 seats in a row.